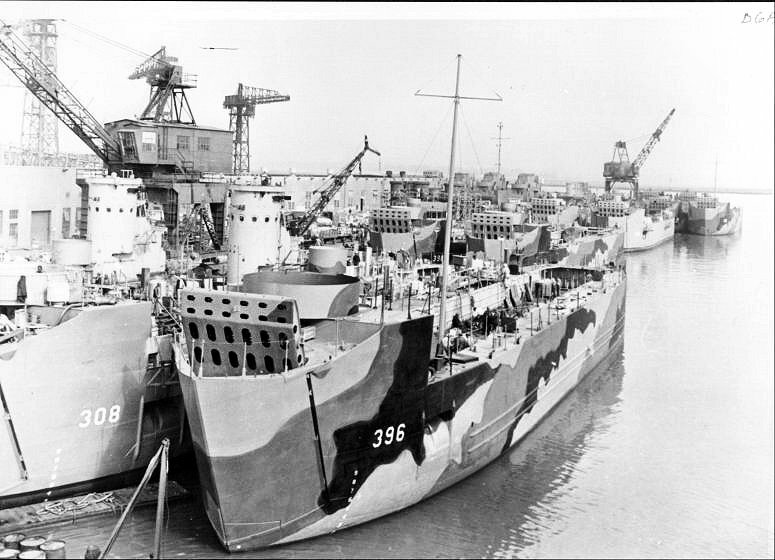 88k LSM-308 and LSM-396 at the fitting out piers at US Navy Yard, Charleston, S.C. Other ships in this photo include LSM-309, LSM 389, LSM-390, LSM-391, LSM-392, LSM-393, LSM-394, LSM-395, LSM-397, LSM-398, Ray K. Edwards (APD-96), Arthur L. Bristol (APD-97), Truxton (APD-98), and Upham (APD-99). 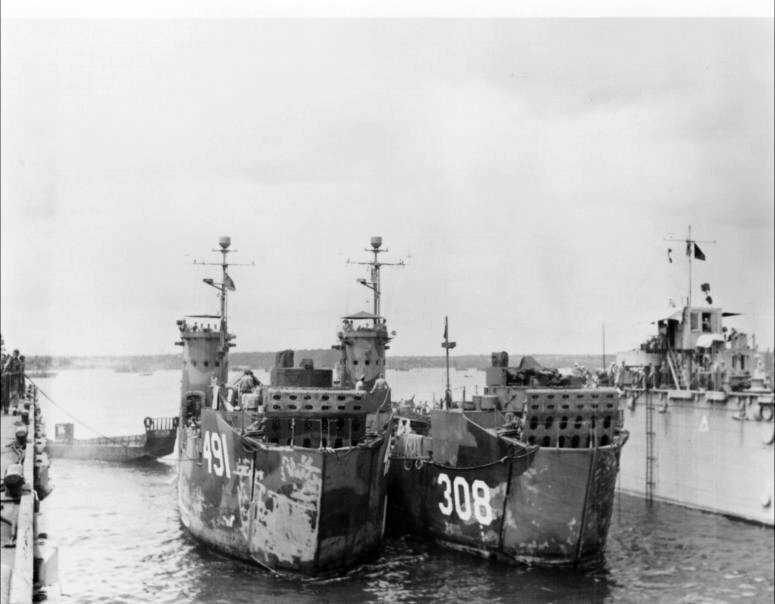 55k USS LSM-308 and USS LSM-491 entering the Advanced Base Section Dock USS ASBD-6 at Apra Harbor, Guam, Marianas Islands, date unknown. 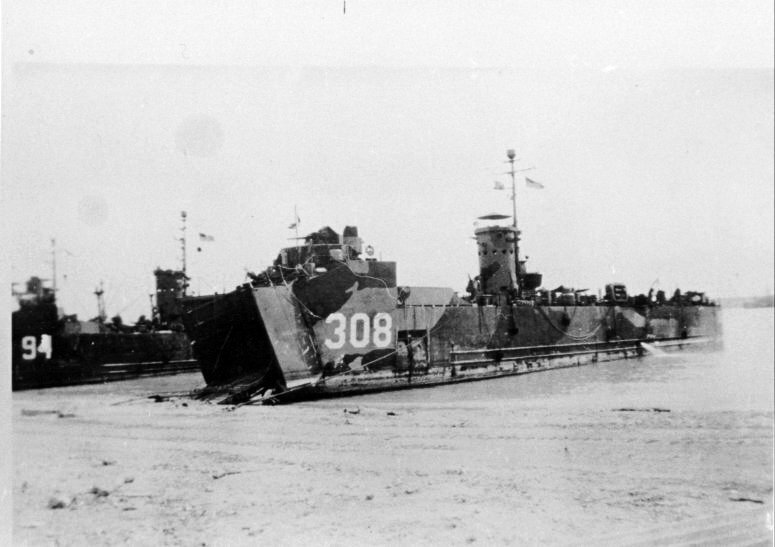 The history extract for USS LSM-308 is from LSM-LSMR Amphibious Forces, Vol. II. Paducah, Kentucky: Turner Publishing Company, © 1997. (ISBN 1-56311-389-9).